Suits are needed in various situations; if you are getting married or attending a royal event the choice of suit will be particularly important and your choice should be made with great care. One of the most popular outfits for either of these occasions in the tailcoat, it is both elegant and stylish and is top of the class when it comes to formal attire. Unfortunately, because of its design, the tailcoat is not suitable for anything other than formal events, and the amount of times the majority of us will attend such an occasion in minimal. This makes buying a tail suit seem like a silly thing to do in terms of value for money and hiring is the likely way forward. Tail suit hire in the UK is extremely popular and customers are able to find the perfect suit in the correct size without breaking the bank. There are many different choices of tailcoat, especially for weddings, but you may find the choice rather more limited when attending a royal event such as Royal Ascot. This is because of the etiquette that must be adhered to. Tail suit hire is the outfit of choice for royal events, particularly Royal Ascot. 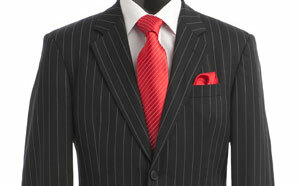 If you are attending such an occasion then booking the hire of your suit early will be important as demand is high. When choosing a suit for the Queen’s horse-racing festival it is essential that when in the royal enclosure, you remain in keeping with the etiquette. The outfit will consist of a grey or black tailcoat. The choice of coat will determine the choice of formal trousers that should be worn. A grey coat will be paired with matching trousers and a black coat will come with striped trousers (grey and black). You can then choose from a plain white shirt with ether a wing or regular collar. The former will often be worn with a cravat while the latter a tie. A waistcoat or vest is included, and a handkerchief and top hat can complete the look. Remembering what is required when looking for tail suit hire is often a problem, many companies offer suits as a package inclusive of every item needed. These are beneficial and can often save money when compared to hiring items separately. As a wedding is all about the bride and groom, there is no particular etiquette to stick to meaning you can be more expressive in your choice of tail suit hire. There are more colours to choose from including, navy blue, caramel, brown, beige and red. However, the most popular colours tend to be black and grey. Many people opt to keep to a traditional look with their choice of tail coat and add colour to the outfit through accessories such as the waistcoat and tie or cravat. There are many different colours to choose from with accessories and most people base their decision in a particular colour featured in the dresses of the bride and bridesmaids.